Moringa oleifera leaves have all essential amino acids, beneficial fats and omega oils. Moringa has rich amounts of calcium, iron and many other vital minerals, as well as a wide variety and copious amounts of vitamins, antioxidant and anti-inflammatory substances but very few calories attached. 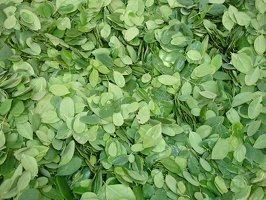 Moringa leaves can be consumed fresh, cooked or as powder. It can be used in tea, in capsules, added to beverages, sprinkled in salads or soup… etc. Moringa leaves & powder have no proven bad side effects. The Moringa tree is very easy to grow. Simply plant seeds or cuttings in a sunny spot. The moringa tree is a plant that grows mainly in semiarid, subtropical areas. Moringa can grow in dry, sandy or poor soils. Moringa oleifera is extremely rich in vital nutrients and, can grow very fast in dry and impoverished areas of the world, where food is scarce. Moringa was used as a medicinal plant, since ancient times, known to heal and ease many diseases: from various inflammations to parasitic diseases, diabetes and cancer. In more recent times, Moringa has gained notoriety as a very nutritious plant that can feed the needy and, in fact, save lives. Moringa leaves or leaf powder can be used successfully as a supplement food to nourish small children, pregnant or nursing women, and of course, anybody else. 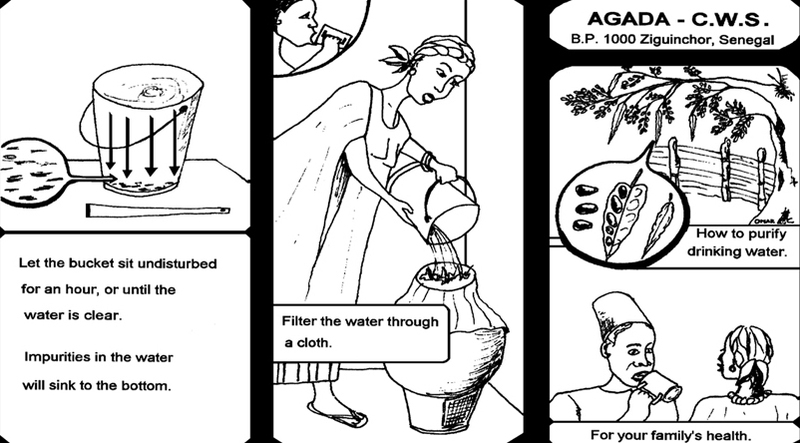 Moringa seeds can be used to treat dirty water making the water clean to drink and bathe. Here are the dosage rates for how many seeds are needed per liter of water. 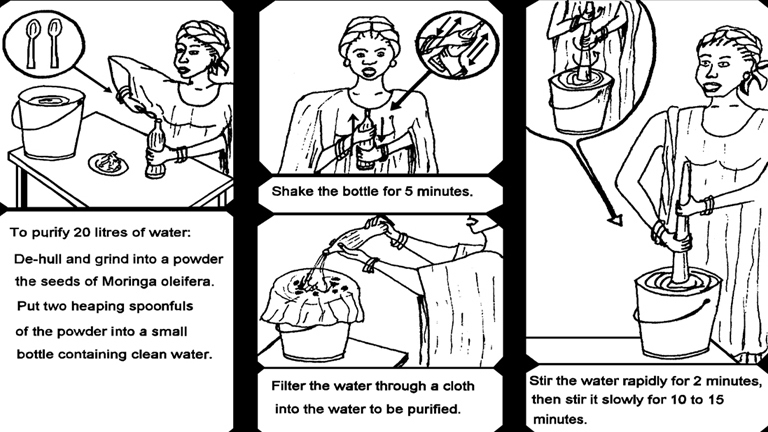 Please see the pictures for the instructions on how to treat the dirty water.